The company that has the leading brands of rum, spirits and winery in BM! Bacardi Limited has been one of the top winery establishments in the liquor industry for seven generations. Some of their well-known brands include Bacardi Rum, Bacardi Superior, Gray Goose Vodka and Martini. The founder, Don Facundo Bacardi, started in Cuba and bought a distillery, he got the ones that are made of cast iron and copper, with old barrels and old fermenting tanks. Then he also had many fruit bats hanging around the tinning roof at night. Who knew that these bats will be associated with Bacardi? 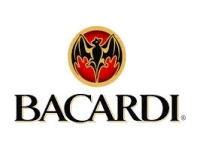 The bat is used as a company logo in every bottle of Bacardi. Wide selections of wines and wine glasses on the island! If you are looking for different varieties of wine, whisky, gin, rum, vodka, cognac and other liqueurs, you can find them at Blackburne Wine Selections! They have great wines in BM from greta wineries. Other than selling liqueurs on the island, they also provide party supplies that you can loan or borrow for your party. And guess what? If you are going to borrow wine glasses here, you do not need to wash them, just place the wine glass upside down in the racks and you’re good to go. Need wine advice from a wine expert? 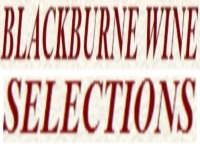 Blackburne Wine Selections also has a wine consultant, Mr. Robin Blackburne. Feel free to call him at 441-292-2670. His wine advice is free, but there is a professional fee for consulting advice for installation of cellars, insurance valuations, and the like. Your unique experience of fine dining with an extensive wine cellar in BM! 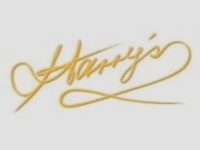 Harry’s Bar and Restaurant has one of the Award Winning Wine Lists around the Bermuda Island. With their gourmet meals on the menu, a waterside patio, private dining surrounded by a temperature-controlled wine cellar from the finest wineries around the world, this is the top restaurant in Bermuda. They also have an event every Friday for “Happy Hour at Harry’s”, there is a Martini Madness that starts at 5 pm in the afternoon to 10 pm in the evening. You will enjoy spending a wonderful experience with your friends with the best dining and wine in BM only at Harry’s. With a beautiful surrounding around Walsingham Bay, Tom Moore’s Tavern is one of the oldest eating houses in Bermuda. This eating house also has a wide variety of wines in Bermuda. Theses BM wines are mostly from the most popular wineries and vineyards around the world. Their wines include Chateau D' Yquem, Caymus, Cignale, Barolo Spress, Barbaresco Sori Tildin, Opus One, Romanee St Vivant Grand Cru Follin' Arbelet, Chateau Haut Brion, Chateau Margaux and Chateau Latour. 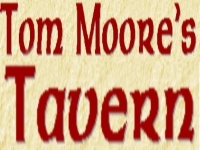 Tom Moore’s Tavern also caters events for special occasions like a birthday, wedding, anniversary celebrations and the like. They offer hot and cold Hors D'Oeuvres on the menu for special occasions. The client also gets to decide which part of the tavern they would like the occasion to be held in. Looking for a bar with a good ambiance? 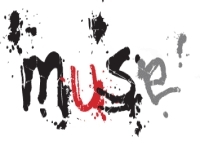 Muse is the one for you! Muse has been known on the island for their exquisite ambiance of the building. Not only that they have a great place to dine in, they also serve the finest wines from all over the world. A French cuisine bar and restaurant, popular on the island of Bermuda that wants to maintain their sophistication. They have a funky yet modern interior design, luxuriant high-end furniture and a smart casual dress code. Want to be surprised on what is going to be on the menu? The Executive Chef of Muse brings surprises to their customers. 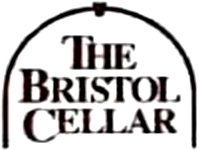 If you are looking for an establishment available for wholesale of winery, beer and spirits, you can find it at The Bristol Cellar. This company has been in the industry for more than 50 years. Since they had been in the market for a while, they acquired strong relationships from the popular distributors of wines, spirits and beers around the world. Guess what? They also have a wine tasting in their warehouse. It is a good way to start building strong bonds among colleagues and friends. Want to have a private wine tasting in your office? The Bristol Cellar will be delighted to organize this for you, just email them, give them the details and they will set it up for you. The best shop for different wine selections! This shop in Warwick, BM sells the finest wines on the island. Wines that are made from the best wine distillers in the world can be found in this shop. Their wines come from different parts of the world including Australia, Austria, France, Germany, Hungary, Lebanon, Italy, New Zealand, Portugal, South Africa, Spain, California USA, Oregon USA and Washington USA. The wine list from this shop includes Gruner Veltliner, Chateau du Seuil, Chateau Croix du Casse, Chateau Patache d’Aux, Chateau Lafite Rothschild, Puligny Montrachet, Chassagne Montrachet, Chateauneuf du Pape, Riesling Spatlese, Red 99, Vintage Port, Pinot Noir. They sell not only the best wines in MB from the best wineries around the world but they also have high quality wines from all over the world. Looking for a place for a girls/boys night out? Here at Little Venice Wine Bar, it’s a good place to bond with your friends especially on a Saturday night. Since most of the people nowadays are aware of wine tasting, they are offering the finest wines by glass from Chile, South Africa, Argentina, New Zealand, Australia, Germany, Hungary, Spain, Portugal and other countries. This BM company have more than 800 bottles in their wine list and have the best source of wine from the most popular wineries and vineyards around the world. Interested in their wine tasting? 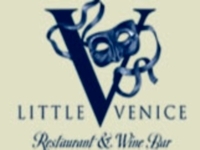 Visit Little Venice Wine Bar at 32 Bermudian Road, Hamilton, Bermuda. They are open from 12 noon onwards every Monday to Friday, and 6:30 pm onwards every Saturday. Different wines from around the world! 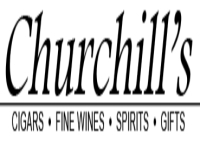 Winston Churchill, the founder of this establishment, loves to have cigars and brandy every day. He is satisfied with the cigars, wines and spirits from around the world and he wants to share this with other people from the island too. 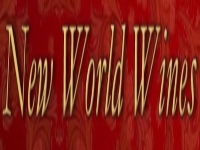 He is the only one who has the finest cigars and well-known brands of wines and spirits. Most of his wines come from Australia, California, Argentina, Chile, France, Germany, Italy, London, New Zealand, Oregon, Portugal, South Africa, Spain and USA. Some wine brands are Carlo Rossi, Santa Carolina, Chateau Behere, Santa Margherita and Rosemount included in the 250 wine selections. Check out this BM winery to find some great drink choices! Want some classic yet high quality rum to drink with your friends? 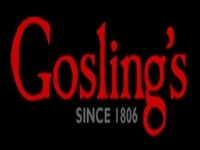 Try Gosling’s Black Seal Rum. The Black Seal can be purchased in all liquor stores and supermarkets around Bermuda. This is the very first branded rum sold way back from World War I. Because of its unique and full flavored taste, it became synonymous with Bermuda. Whenever there is Roof wetting and Ship Christening anywhere in Bermuda, there is always a bottle of Black Seal Rum. This family business has been operating for more than two centuries and is the only one that blends and bottles and is the largest exporter of Bermuda made products. They may not be a winery but this Bermuda store has the best rum on the island.